Every sporting event is better with sand, water and sunshine. 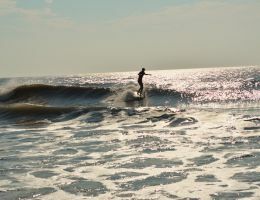 With 10 free miles of pristine sand along the Atlantic coast, Ocean City, MD is perfect for sporting events of all kinds. 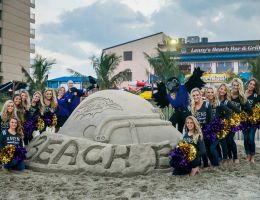 That's why we've hosted the AVP Pro Beach Volleyball Tour, many sand soccer tournaments with 300+ teams and the extreme Dew Tour from 2011 to 2014. Although our prime location is ideal for activities like surfing and body boarding, it also provides a fantastic view for any event. Our facilities are equipped to host tournaments and any team sport, including lacrosse, golf, soccer, softball, tennis, cheerleading, wrestling, running events and much more. Sports are great; even better for families. 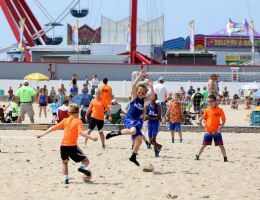 Ocean City is a popular family vacation destination and those same amenities and attractions enjoyed by our visitors are available to sports participants. This includes our free 10-mile white sand beach, our famous three-mile boardwalk, amusements, 200+ restaurants and an incredible number of shopping options. 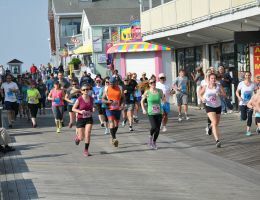 In Ocean City, the excitement continues long after the competitions and games are over – no matter your age. 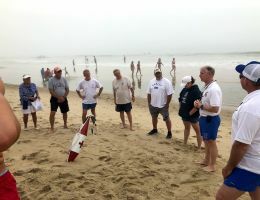 A little salt water and sand are just what your sporting event needs. 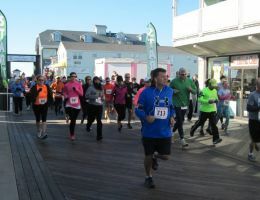 Ocean City has year-round indoor and outdoor facilities and venues perfect for all sports and events of any size. And with 9,500 hotel rooms and 29,000 condos, we have accommodations for everyone. 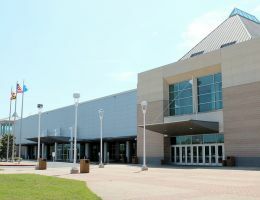 The Roland E. Powell Convention Center is equipped to handle any size or type of indoor sporting event – and provides stunning views of the bay. The Performing Arts Center is the perfect space for hosting a variety of events, including cheer and dance competitions, and award ceremonies. Our largest and most popular park facility is a 58-acre bayfront complex for both indoor and outdoor sports. It also hosts several multi-sport fields and plenty of parking. 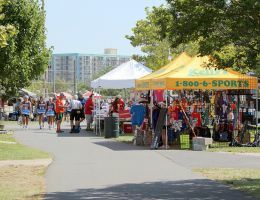 View a video of the 2016 OC Lax Classic, one of several tournaments that are hosted at Northside Park. 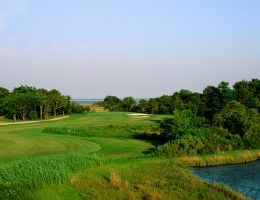 With 17 championship courses surrounded by beautiful landscapes and water views, Ocean City is an ideal location to hold golf tournaments of any size. The Ocean Bowl Skate Park is the oldest skate park in the country, where East Coast meets West Coast in one spectacular space. The Tennis Center in Ocean City is one of only 3,000 USTA Tennis Welcome Centers throughout the United States. The facility is well-equipped for a number of tennis activities, including tournaments. Fill out the form below to contact an Ocean City, Maryland representative for more details!